The Balmoral, a Rocco Forte Hotel in Edinburgh, Scotland, has undergone an extensive refurbishment to its signature castle view event spaces in conjunction with the hotel brand’s 20th anniversary. 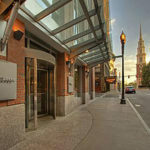 For more than a century, the Balmoral has been one of the city’s most recognized landmarks with its clock tower dominating the capital’s skyline and the hotel’s castle views offering some of the coveted sights of the city. 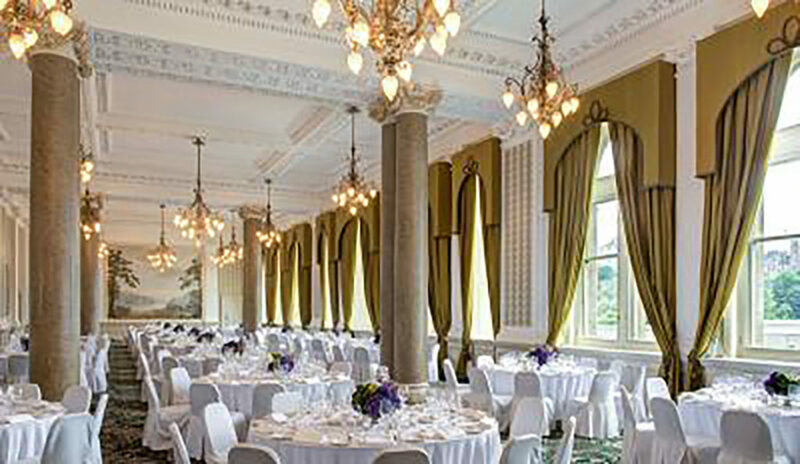 To highlight these views, the hotel’s three main function rooms—Sir Walter Scott, Princes and Holyrood Suites—have undergone a restyle to offer a refined and authentic Edinburgh experience for banquets, weddings, showcases, training and conferences. Olga Polizzi, the hotel’s director of building and design as well as sister of Sir Rocco Forte, sought to enhance and emphasize the proportions of the rooms, highlighting their neo-Renaissance architectural detailing, such as the original cornicing, high ceilings and windows. New wallcoverings and carpets throughout impart a botanical and organic feel, with each element selected to reflect the Scottish landscape. Baros Maldives has unveiled upgrades to its 24 deluxe villas, including 957 sq. ft. of living space transformed with bright decor reflecting the locale. Interior elements such as polished wooden furniture are neo-Art Deco in style, employing simple and classical shapes. There’s also a new flat-screen television on a contemporary easel. Silently sliding French windows open onto a white sandstone deck, widened to accommodate a large day bed and a table for two for dining. The space also offers a king-size bed, a view of the sea, and work and vanity tables in side alcoves. A distinct feature of the upgraded villas is the partly open-air bathroom with waterfall shower in a sandstone-walled flower garden and stand-alone oval bathtub. 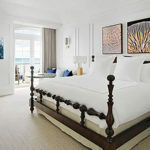 Gansevoort Turks + Caicos is set to debut its new Gansevoort Villas this winter. The spaces will be composed of six new four- and five-bedroom oceanfront villas. Tucked into an elevated hillside overlooking the bay at Turtle Tail, a short drive from the resort, each villa—designed for corporate retreats/incentives and meetings—sits on approximately half an acre of elevated hillside. The villas feature infinity pools, sunken outdoor fire pit lounge areas, open indoor/outdoor spaces, oceanfront bedrooms and private swimming platforms at the ocean level providing access to the beach.